Junkers & Müllers is continuously intensifying its cooperation with print houses, manufacturers and system providers in the field of digital printing. As a developer and producer of textile printing substrates, the requirements of the market are therefore implemented directly in close consultation with the end users and print machine manufacturers. Since mid-2018 Junkers & Müllers has been a partner of Agfa Graphics, the experienced provider of advanced printing system solutions. Since the beginning of this year, Junkers & Müllers has maintained a permanent presence in the Agfa Graphics showroom at its headquarters in Belgium. A selection of 4 fabrics from the extensive JM MEDIATEX® product range is on display. There is, for example, MEDIATEX® Easybox FR that can be used as back- and/or frontlit. Its high scratch resistance, excellent crease recovery and color brilliance in the print are just some of the material benefits. 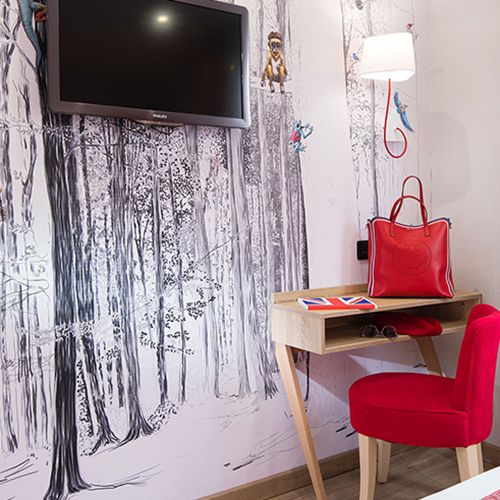 The MEDIATEX® Covertex FR, MEDIATEX® Wallcover and Wallcover Effect qualities are also on display. As the product names already indicate, these are 3 substrates which are particularly suitable for wall decorations. All 4 products can be printed with solvent inks, latex or UV. These materials are available at Agfa Graphics for on-site printing trials and system demonstrations. “Bloomy & Cool” is the name of the new printed roller blind fabric collection by Junkers & Müllers. The new prints are presented in a veritable trend book. Page after page opens up a world of modern interiors. Each of the new designs is staged in its own ambience. This is also the first time that the presented motifs are given a descriptive name. “Bloomy Bird,” for example, refers to a playfully lovely design. The name itself like “Nordic Herbs”, “Lovely Cottage” or “Cool Tropical” already awakens the imagination and finds further association in the richly illustrated collection book. The range of designs spans from minimalistic geometric graphics like the “Zig Zag” roller blind, classic ornamental patterns such as “Chalet Chic”, to generous floral motifs as seen on “Summer Leaves”. The shades pick up on current colour trends such as “Sea Glass”, in finely coordinated blue and green, and soft pink tones in “Pink Blossom.” Quiet, harmonious prints in white, cream and pale grey are included as well. The collection also meets the highest standards in terms of printing technology. Whether powdery chalk textures, soft watercolour gradients, metallic, shimmering glitter effects or a delicate burn-out finish, the material and printing techniques are specially coordinated to every design idea. A number of the new designs is also available as pleated blind fabric. EASYBOX by Junkers & Müllers displays the most brilliant colours. Whether backlit or frontlit, this textile printing substrate is suitable for all processing forms and fulfils the highest standards. In addition to impressive printed images using both latex and UV printing, the relatively soft material guarantees excellent crease recovery and does not show any white cracking. Even with latex printing and especially even directly after printing, EASYBOX is proven to be highly scratch resistant. What‘s more, the high degree of whiteness ensures colour-true prints. EASYBOX is fire resistant, PVC-free and certified according to the OEKO-TEX® Standard 100. 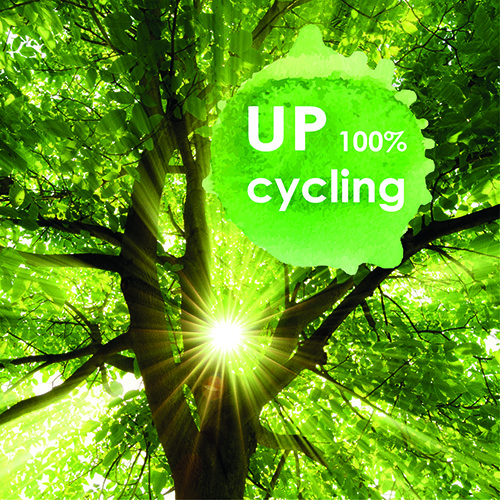 For Junkers & Müllers, both the environmental friendliness of the products and the entire production process are important aspects of their claim to embrace sustainability. This position has defined their corporate strategy for years. That's why every fabric in this range bears the Oeko-Tex label and complies with strict REACh regulation standards. The company's returns service, which applies to all of their products, has these products properly recycled after their useful life is over. Now Junkers & Müllers is going one step further. They no longer just process their own fabrics. Instead, they also use recycled waste products from other sources. Just recently, the STARLET FR JM standard quality has been made from recycled polyester. The base fabric is composed of 100% recycled PET plastic waste. Not only does this save fossil resources, but it also helps reduce pollution by avoiding growing volumes of waste. And the proven quality of the final product remains unchanged. Junkers & Müllers exhibited this year again at the FESPA, the largest international wide format event. 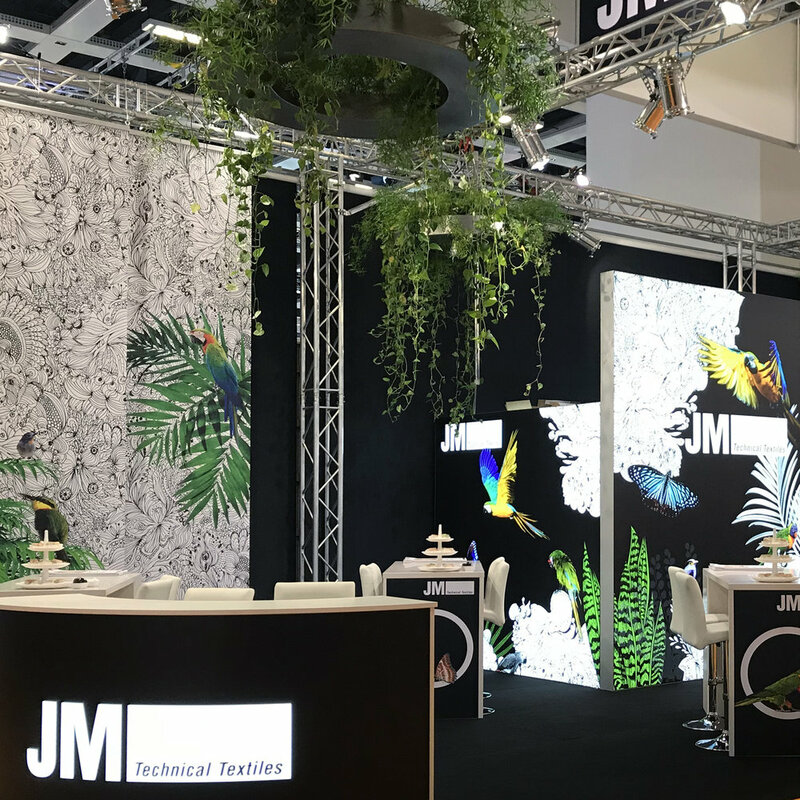 Between the 15th and 18th May 2018, the JM team was able to welcome numerous customers and interested parties from all over the world at its stand. The stand was exceptionally well visited on all of the days. Junkers & Müllers is extremely satisfied with the positive reaction at this year’s trade fair appearance.